Ha Ha... now it is clear that OB is good option then Neo V.
Memory Card under battery slot !! Are u serious bro ?? the memory card is hot swappable.. I think that guy got some mistakes. One of it, he said optimus black get a 8MP camera, while it's only 5MP. And I think NEO V good enough to beat optimus black in term of updated software, obviously. I don't understand why you guys are comparing it against dual core smartphones? Just look at its price, its not even in league of dual cores. Compare it with similar specs phone please. OR if you have any issues with SE then just don't review their phones. Xperia Neo V better than Xperia Neo ! 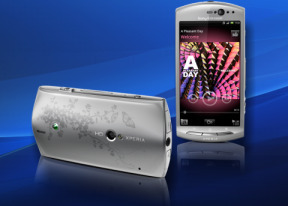 and also xperia neo v have white colour ! be disappointed neo v no hv exmor R sensor ! but !! always nice !! I dont know if GSMArena does it intentionally the mistake of 'copy-paste'. "The competition has dual-core CPUs, 1080p video" - not at that price point it doesn't! Thanks for this review. Now I can decide if I'll choose to buy neo v or the SE Live. Just 2 doubts regarding the review. 1. How come gsmarena got a red neo v when sony ericsson didn't release a red one? I guess they didn't review the neo with the software updated. But one thing the phone is awesome. I would say if you prefer screen go for neo v and if you prefer camera and thinner phone go for ray. But eventually after using different apps in android you may feel screen size is more preferable than camera and thickness. still no support for 3G video call? it's a nice phone, but I need a phone that's capable of performing video call over 3G network. looks like I stuck with Samsung & LG since those are the only companies that have Android product with 3G video call support. AnonD-9845, 19 Dec 2011the true question is why the neo has to suffer. it a friggin cameraphone,there's no reason wha... moreRead the review... Shortage of 8MP sensors due to the earthquake/tsunami/nuclear incident. It was a forced choice. how bout battery life under heavy use? I have had this phone now for 3 months since it first came on the scene and seriously it is a fantastic little phone, a good all rounder! This is my first android phone jumping from the fabled w995 so really i was looking for a lot, what i got is still bloody good!! Awesome music player, great camera (they say its only 5mp but my photos have been great and i love that panorama! !, the camera is actually better than iphone 4 as i had a friend took the same shots with both phones and the neo v trumped it! ), plus that hdmi to tv is awesome great fun playing games on the big screen! just got myself a cheap nz$10 cable, 32gb sd card and awaiting on the livedock to arrive so it will be one multimedia beast!! I love this phone, i dont regret it with this phone, i was worried a little when i got it but then my worries were over when it won me over. Dont be deterred that is a cheaper cousin than the neo, yes the neo had an awesome camera but this really is as good and for the price you cant go wrong with what is out there! the true question is why the neo has to suffer. it a friggin cameraphone,there's no reason whatsoever to downgrade its camera. they should have killed ray instead.such a tiny phone like that doesnt need the same specs as neo/arc. Is there a chance of any improvement in Video codec support in the upcoming ICS update? Damn...the review just gives me enough reasons not to buy this one...I was waiting for the review...Thanks GSMarena for saving my 18K INR...switching my plans either to LG Optimus Black or HTC Desire S... preferring desire S as it has got Sense 3 n adroid 2.3.5 update here in India... Guys pls suggest which is better of these two?? ?